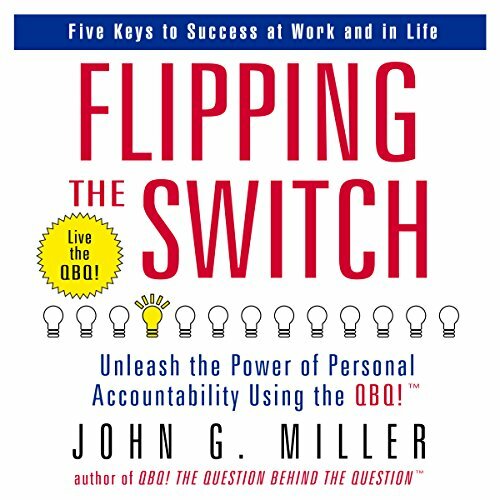 Showing results by author "John G. Miller"
The lack of personal accountability is a problem that has resulted in an epidemic of blame, complaining, and procrastination. No organization or individual can achieve goals, compete in the marketplace, fulfill a vision, or develop people and teams without personal accountability. The power of a better question? Yes! 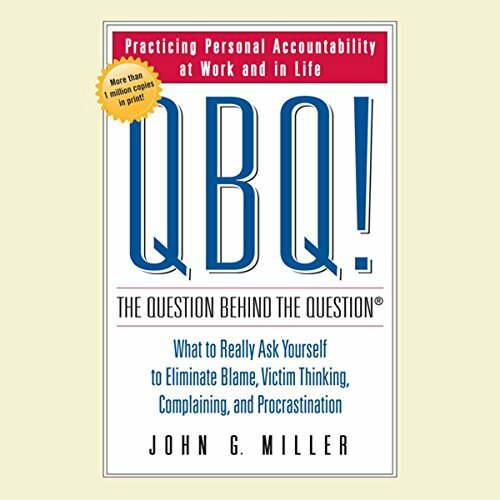 Unleash the Power of Personal Accountability Using the QBQ! In QBQ! 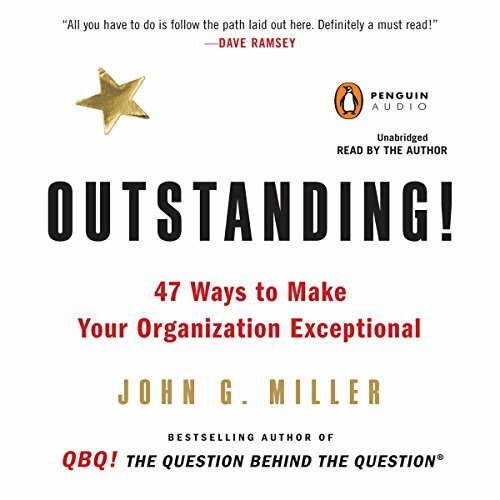 The Question Behind the Question, John G. Miller revealed how personal accountability helps to create opportunity, overcome obstacles, and achieve goals by eliminating blame, complaining, and procrastination. The result? Stronger organizations, more dynamic teams, and healthier relationships. Now Miller takes listeners to the next level to show how they can use the power of the QBQ! and personal accountability every day. When a light switch is flipped the flow of energy that is released reaches the lightbulb in an instant, bringing it to life. Do people fire companies? You bet they do. But anyone can fireproof their organization with the timely and timeless ideas in Outstanding. Every day outstanding organizations do things that ensure they will retain customers, grow revenues, increase market share, and build their reputations. These successful organiÂÂ­zations comprise people who hold values and take actions- individually and collectively-that are simple but not always easy or obvious. 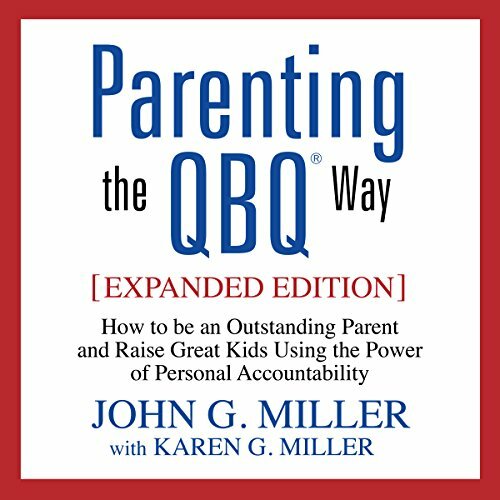 With thoughtful commentary, observation, and advice, illustrated with engaging and memorable anecdotes that are the hallmarks of John Miller’s previous books, Parenting the QBQ Way provides all moms and dads with the means and inspiration to be more effective parents - as well as teach their children how to practice their own brand of personal accountability - to create a happy, healthy family for a lifetime. 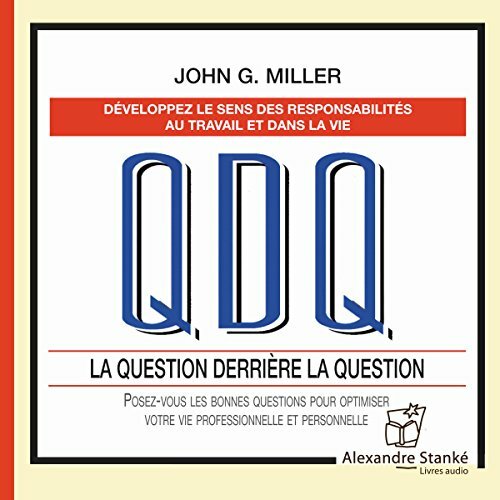 Le diagnostic de John G. Miller sur le monde de l'entreprise est sans appel : une singulière absence de responsabilité personnelle mine la cohésion interne, pourrit l'atmosphère et, en définitive, sape les performances individuelles et collectives.